Unable to attend the I-75 League’s 36th convention to receive his trophy, Garth Lewis was presented his hardware in Dallas recently. Garth celebrated his third World Series crown in 10 years in 2014. He’s shown here surrounded by the trophy and 2014 plaques for his North Division championship and the World Series championship. Three-time World Series champion Garth Lewis. 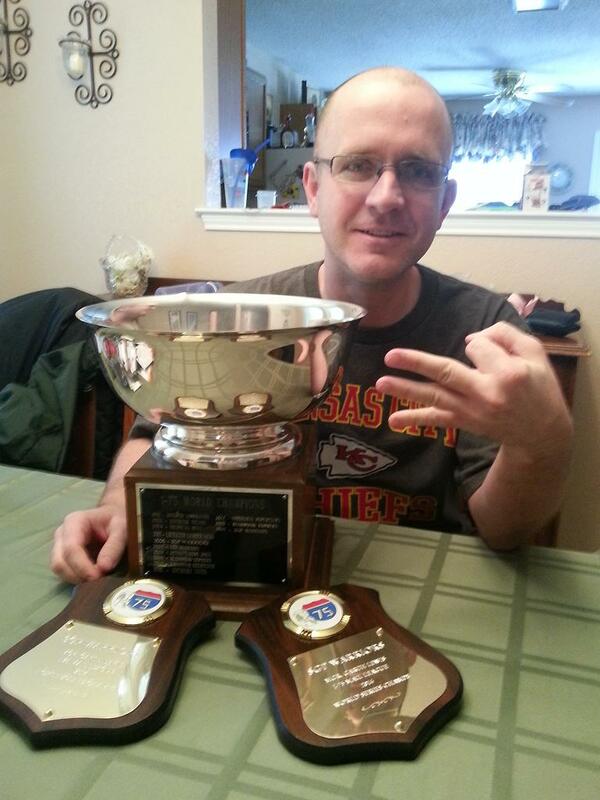 I find it most inappropriate for Mr. Lewis to be flashing gang signs on our Strat league’s website.